What specific guitar are you talking about? The Fly Bronze? It's not something new, but it is an amazing guitar. Extremely light and sounds great. Or do you mean the line of acoustics Like the P8? 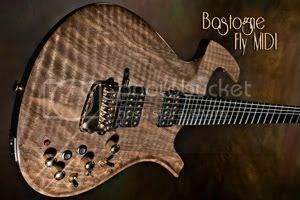 These are nice guitars, but not a groundbreaking design like the Fly. They seem on the pricey side for a guitar that isn't all solid wood. I think top and back but not the sides? Something like that. No I means the Acoustic line[P8,P9,etc]. OK, they don't use the name "Fly". If you look in the acoustic area of the Forum, you will probably find posts that will address your question. You're right,I didn't realize that 'Fly' was only the electric line. While visiting in richmond va---I stopped at a pawn shop and saw a fly---early---white nut-----it had a white lily or flower on the headstock and another on the body back of the bridge. It only had the peizos and no magnetics---they wanted 1900 for it-----anyone ever hear of such a model? ?